Next post: Cat House on the Kings: Open House, Calendar, Yoga With Cats, & What Else, But Kittens? KRL: From looking at your website I see that there is so much that you do that I’m sure it would be hard to talk about everything, but can you can give us an overview of The Source LGBT+ Center and what you do and your purpose? The Source: The Source LGBT+ Center is the first of its kind as a resource and community center for LGBT+ people in Tulare County. Our mission is to provide spaces within our community for LGBT+ people to LEARN, GROW, BELONG, QUESTION, and receive SUPPORT. For a lot of our visitors and volunteers The Source is home away from home. KRL: How did the idea for The Source come to be and who was involved? The Source: Nick and I had both grown up here and moved away. I had recently moved back from Los Angeles and Nick the San Francisco area. We both saw a lack of services here in the Valley. We were used to big “gay” cities with LGBT centers. We saw a need, and the community quickly came together to support the center. KRL: When did you first open? The Source: We opened our doors on May 6, 2016, to over 450 visitors the first night and have seen over 3,000 in just over a year. KRL: That’s wonderful! How long did it take from idea to being real? The Source: It happened very quickly because the community saw its value. From the first conversation on antique row in Visalia to our first community forum was a couple weeks. Within three months we had our 501c3 and a space downtown. KRL: What are your goals with The Source? The Source: When LGBT people feel safe and included, the entire community benefits. KRL: Can you give us a little more info as to what you offer at the Center? The Source: We offer a space to LGBT+ people where historically there has been a lack of spaces outside of bars and clubs. Our drop in center is the largest program we offer. Visibility, support, and fun are key to a healthy community. We host weekly 12-Step meetings, social events, peer support for HIV positive people, Transgender Resources for parents and gender nonconforming individuals, clothing exchanges, and a new LGBT+ Leadership Academy for ages 14 and up. We provide cultural competency trainings for schools, government agencies, clinics, and mental health professionals. We host PRIDE Visalia, and our annual Halloween Ball and Gala. KRL: Would you tell us a bit more about your support for those with HIV and their families? Has that always been a part of what you do? The Source: Our HIV Peer Support is new this year. We saw a gap in services for LGBT people and felt it necessary to provide support and resources for newly diagnosed and long term survivors. Moreover, PrEP/PEP were new topics to providers in this area, and should be seen as best and promising practices for prevention of HIV. KRL: Would you share a little about the lending library and how that came to be? The Source: Our lending library is three libraries combined. We are home to the PFLAG Donald Broyles Memorial Library, The Tiana Aruda Lesbian Library, and The Source LGBT+ library of donated books. 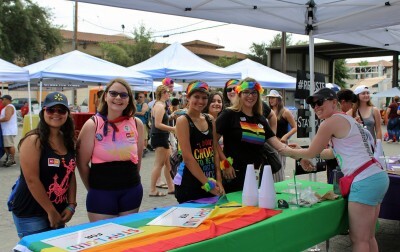 Together they comprise the largest collection of LGBT+ books in Tulare and Kings Counties. KRL: I think it’s wonderful that you also include info on LGBTQ+ friendly churches. How did that come about? 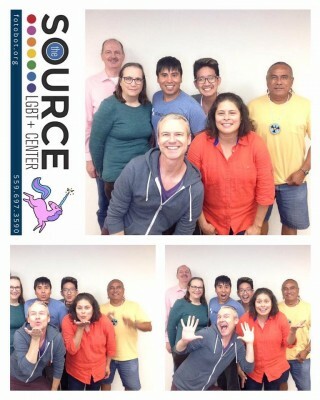 The Source: The Source LGBT+ Center was born in a church. Our first meeting was held at Center For Spiritual Living Visalia. 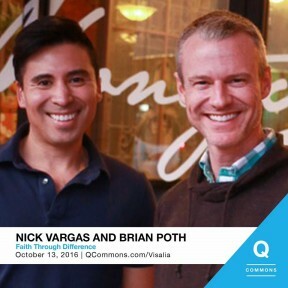 It was important for those of us who had positive affirming congregations to share that with other LGBT people who may have felt like faith was not open to them. After the Pulse massacre in Orlando many faith organizations asked for us to speak with them against that act of terrorism, and from there we have been surprised at how many local churches are not only inclusive but affirming. KRL: That’s great. How have things changed since the beginning? The Source: We have doubled our capacity in a year. We are still a volunteer organization and a community driven effort, but now with more interest and participation than before. We are the ‘go-to’ for LGBT cultural competency and sensitivity trainings in the south valley and known in our community as an organization that delivers on its mission. KRL: Why do you feel something like The Source is needed in Visalia? The Source: When LGBT people feel safe and included, the entire community benefits. 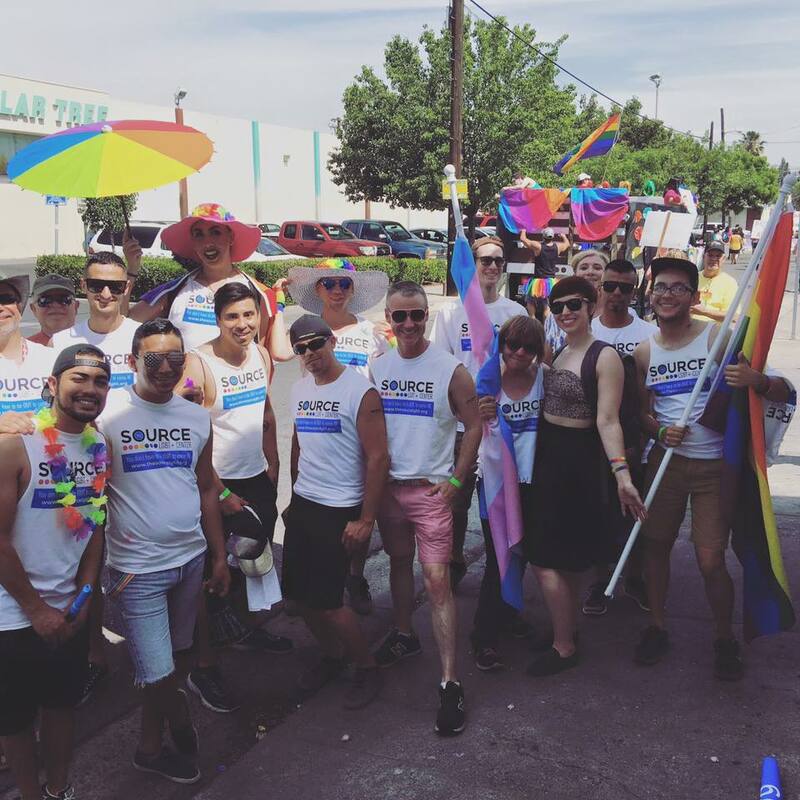 The Source LGBT+ Center demonstrates that when people come together for a cause, individual lives get better and the community becomes a healthier more inclusive place. The popularity of The Source belongs to the people in this community who needed a place to belong. We are happy to offer that space. It is our mission. KRL: Any special stories you would like to share? The Source: Just today we met with one of our elected officials and discussed the value of The Source in showing large investors in commerce and communities that the central valley is diverse and worthy of investment. Many corporations have diverse employees and are looking for areas that represent them well. Having an LGBT center is just one way our community is growing and thriving. One of our visitors came to us with a physical disability, social anxiety, and had been rejected by her parents. She had just come out as a transgender woman and needed a community and resources. Within a couple months she began volunteering, then coordinating programs, and has now overcome the challenges she faced with a new network of friends. She has recently moved to the bay area and continues to advocate for transgender people and credits her success to involvement with The Source. One homeless youth participated in a writing workshop and is now a published author. KRL: Are there weekly events that people can attend? The Source: We have something going on almost every night of the week. Please check out our calendar on our website or follow us on Facebook. KRL: Do you have any big events coming up yet this year? The Source: PRIDE Visalia so far has been our greatest success with over 2,000 attendees. It brought regional and national attention to Visalia and The Source by being featured in the Advocate to over half a million readers. Our next event is VOODOO on the BAYOU on October 28 at the Wyndham 8 p.m. This is a 21 and over event with food, alcohol, DJ, fortune teller, games, and pumpkin carving. Tickets are $40 and available online at: tiny.cc/votb. KRL: For those in need of any of your services and support how do they get in touch? The Source: Anyone can contact The Source by visiting our website or call (559) 429-4277. KRL: For those who want to support what you do, how can they help? The Source: “Like” us on Facebook, share a post, come to an event, volunteer, and donate. This year we are introducing monthly donations and a giving circle. Contact The Source LGBT+ for more information about perks and benefits to becoming a sustaining donor. The Source: Thanks for featuring us.